Q: How do I become a coach myself? Q: How much does it cost to become a coach? A: There is an initial $39.95 fee and then a monthly charge of $14.95 for your hosting fees for the 3 websites that Beachbody gives you. Q: How much time do I have to dedicate in order to be a coach? A: The amount of time you spend is completely up to you! When I first began, I was spending around an hour a day learning the ins and outs of the business. As my business has grown, I have dedicated more and more time which is allowing me to do somethings i thought could never happen. Q: Is the Beachbody Coaching Opportunity a scam? Q: What are some of the benefits of becoming an Independent Beachbody Coach? You have the chance to help others get into shape and live a healthier lifestyle. You receive 25% off all Beachbody products. You get your own personalized website/store. You are not responsible for shipping or inventory. You have unlimited income potential. You are a personal business owner. You have the opportunity to purchase discounted Showcase Packages/diamond pacakge. Q: What is the Diamond Package? A: For just $599, you can have ”The start-up bundle of champions” it is a $1,123.00 value and puts you on the fast track to financial and fitness freedom. With the Diamond Pack, you’re equipped from day 1 with the full arsenal of the most successful Beachbody® nutritional products and fitness programs, business services, and 3rd Party Tools. Plus, we’ll throw in a FREE Business Starter Kit (a $39.95 value) and FREE basic ground shipping. Q: Do I have to have a great transformation to be a coach? A: No! Anyone can be successful in this business. Q: What if I’m not very knowledgable about fitness? A: You don’t have to be a fitness professional or expert. Q: Will I get the proper training? A: Beachbody has an excellent training program in the “Game Plan” it is a proven step by step program for success. Not to mention i will be with you every step of the way. 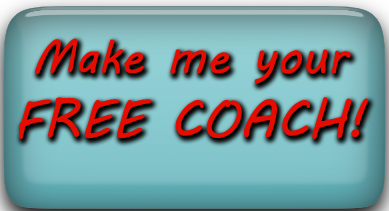 Offer the same 1 on 1 advice and personal business training that has made me so successful a a Beachbody coach. Q: Is the Coaching Opportunity open to anyone outside the US? A: Currently, the Coaching Business is not available to anyone outside the US. However, Beachbody is in the process of opening up the opportunity to other countries, such as Canada and Mexico. I will make a post the moment I hear it has opened up to other countries. If you make me your coach I’ll let you know as soon as the opportunity opens up. To make me your coach, click here.